Step 1: Login your developer account(If you do not have one, please register). Click “My apps” and choose “Submit Your New App” on the top right corner. 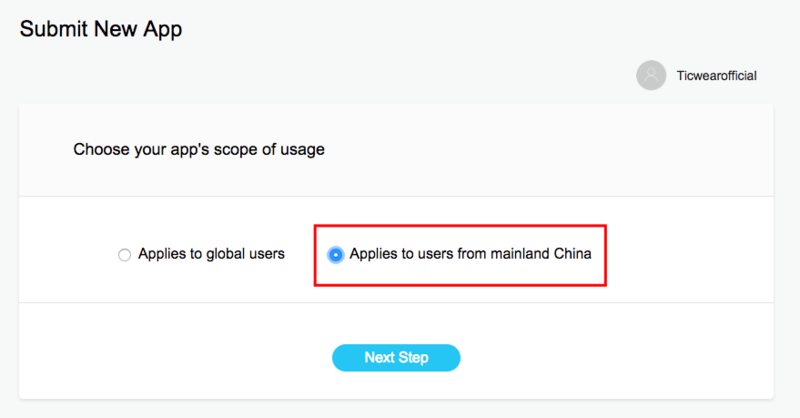 Step 2: Please choose the scope of your app usage; For Wear OS by Google apps, Mobvoi developer platform only provides the distribution channel for mainland China (Aka.Mobvoi Store). Please submit the app to Google Play store if you want to distribute to the global users. 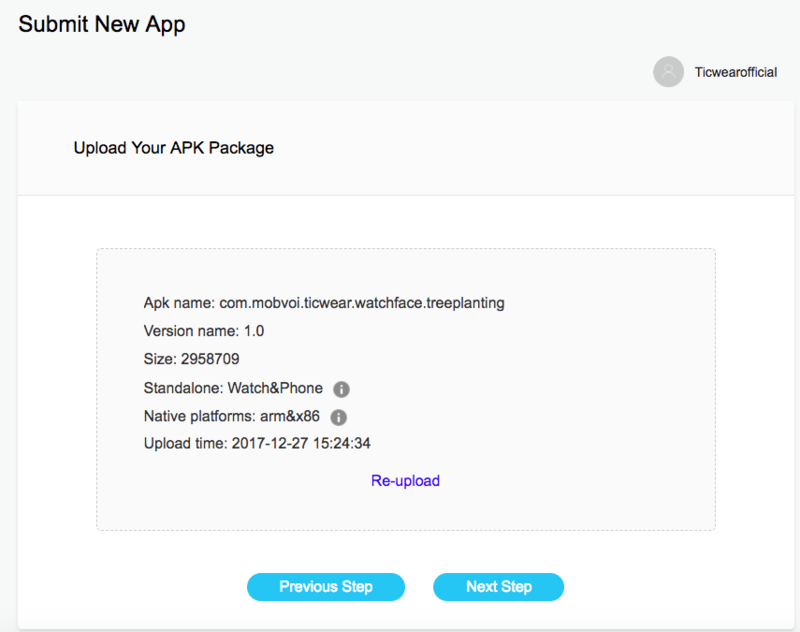 After the .apk has been uploaded successfully, it will take 10-20s for the platform to analyze the apk information including apk name, version name, size, standalone, native platform, etc. 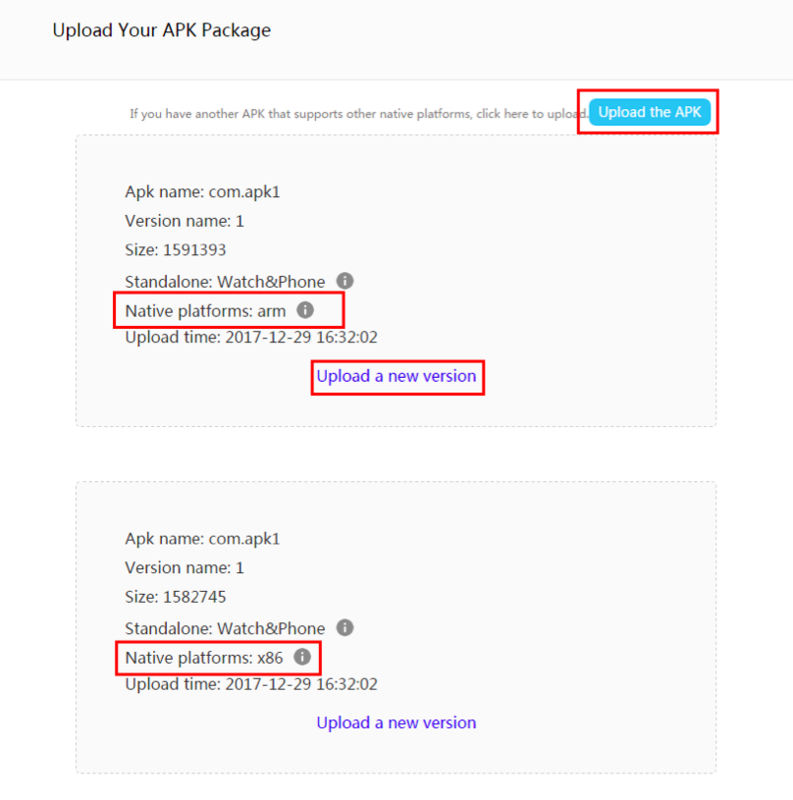 If you have any questions for the .apk analysis information, please click exclamation point to see more information. 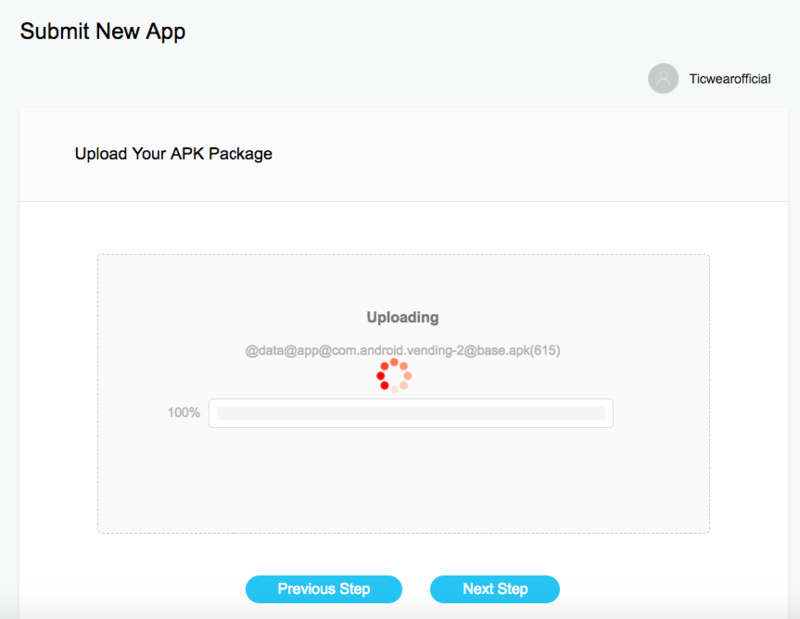 Step 8: Once you have successfully submitted your app, your app will be in the review. We will keep you updated on the status of your submission.